When it comes to lifting, moving and transporting heavy or large-sized elements, the things that are demanded the world over also happen to be our strengths: professionalism, decades of experience and a vehicle and machine fleet which is equal to the heaviest challenges. Our range of services is equal to current needs – in every performance category. To keep it that way in the future, we are always working hard to keep our vehicle and device fleet up to date. 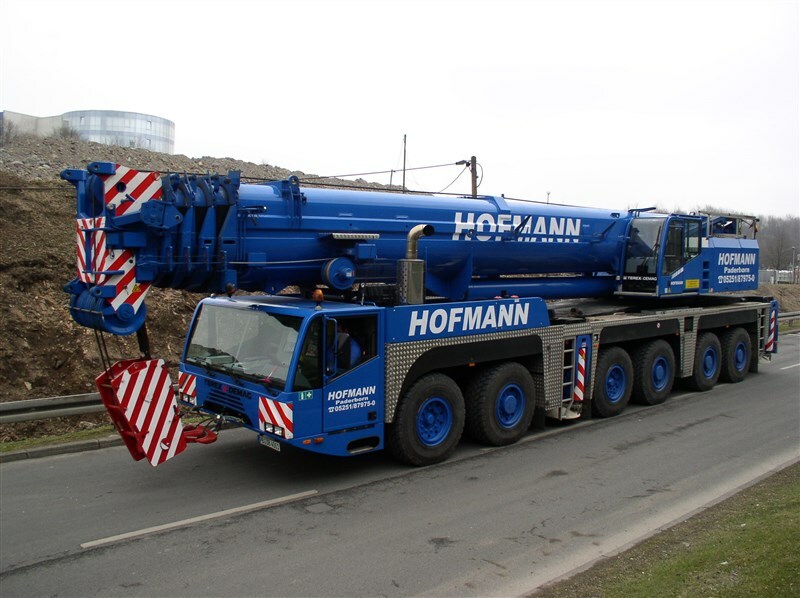 At the current time, our group of companies can, for carrying out lifting and transportation services of all kinds, draw on around 240 mobile cranes in the performance categories from 7 t to 1600 t.
Therefore, we are able to safely lift and transport even the heaviest and bulkiest loads. Our crane operators are extremely reliable and experienced personnel who can handle any situation and are very familiar with our innovative crane technology. They’re fast, robust and highly flexible. That’s why the newest generation of telescope mobile cranes are so well-known and cherished. Their uses are varied – and their efficiency and reliability are industry bywords. That’s why they are an integral part of our fleet. Mobile under load! 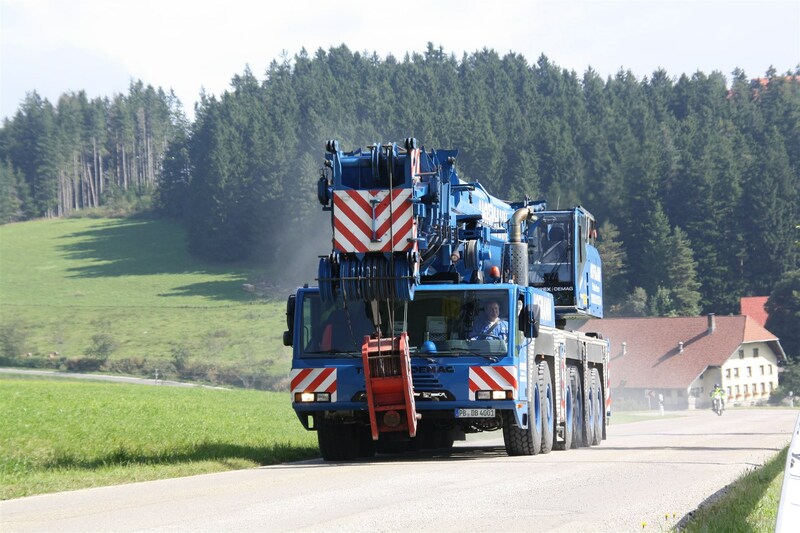 This is their unique advantage – one that pays off when there’s not so much room for manoeuvre and on-site assembly isn’t possible, despite the best will in the world. A perfect example of this is installing wind turbines, where it is extremely advantageous if the crane can be put in place already fully assembled. You’d have to invent them if they didn’t already exist: mobile construction cranes.